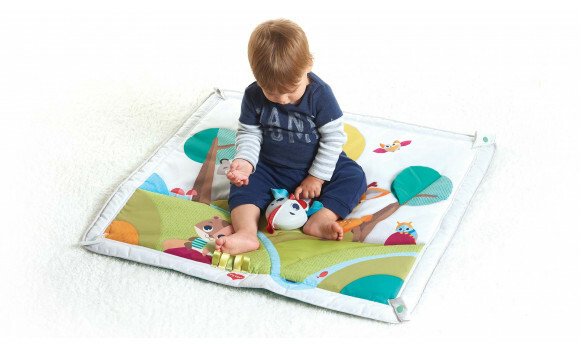 2-in-1 playmat with adjustable arches for more play modes. 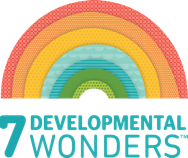 A world of wonder awaits! 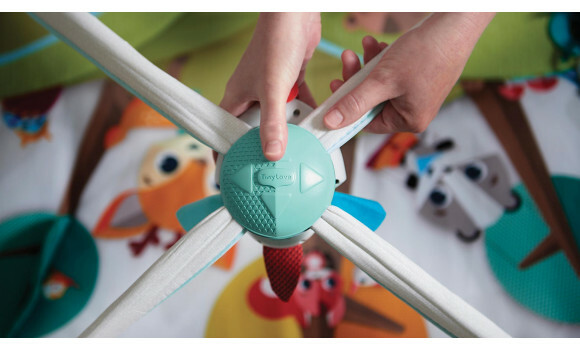 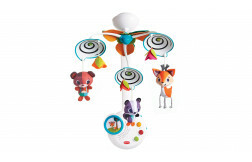 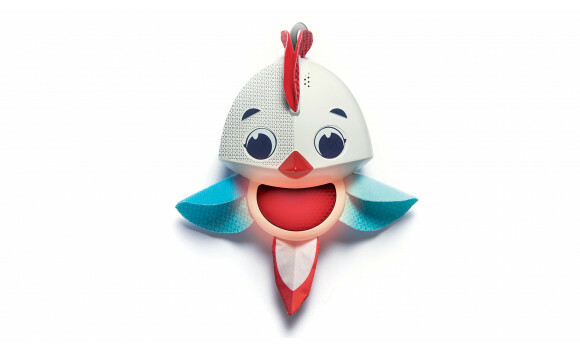 The Gymini®'s various features have been carefully conceived to support babies 7 developmental wonders, including motor skills, visual and auditory cognition, and the senses. 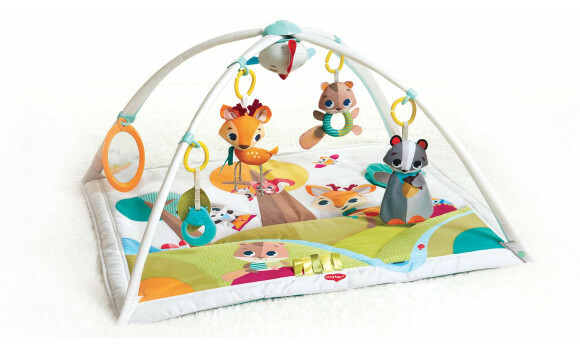 The gym’s colors, textures and sounds stimulate baby’s senses from the very first days. 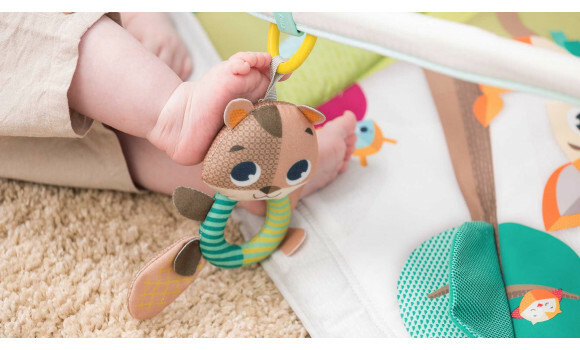 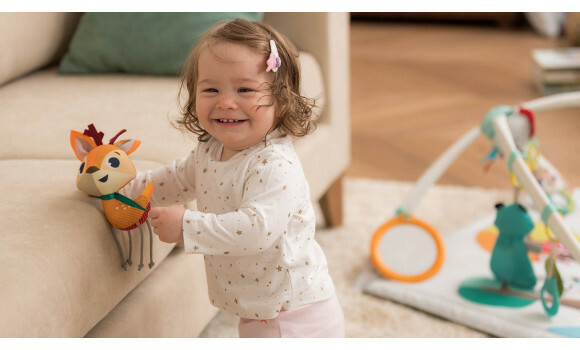 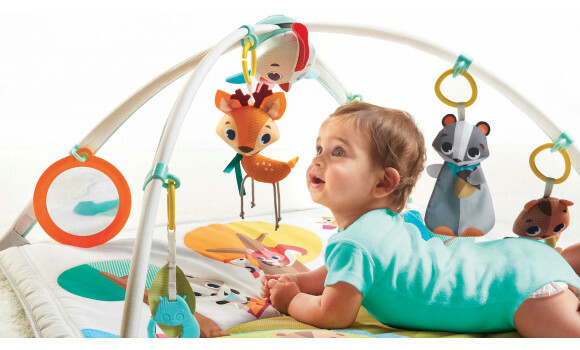 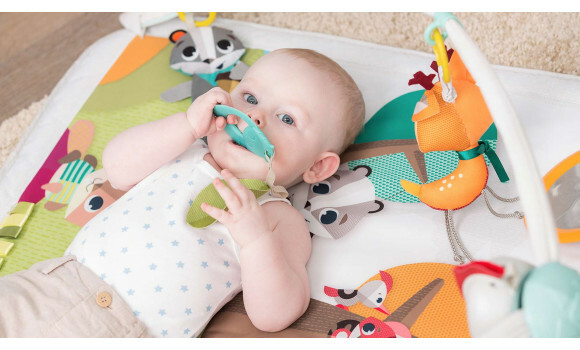 Let baby try to reach out and bat at the fawn rattle or crinkly badger, or explore their own image in the mirror while practicing tummy time. 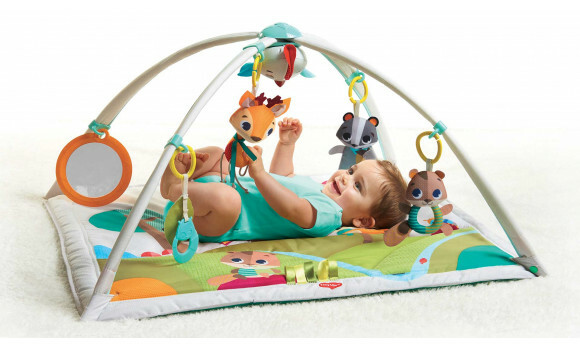 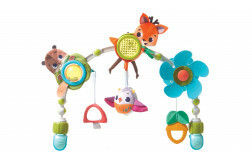 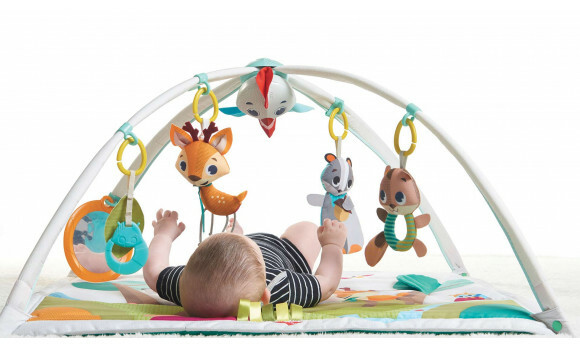 While on their backs babies will enjoy the overhead gym toys and practice motor skills. 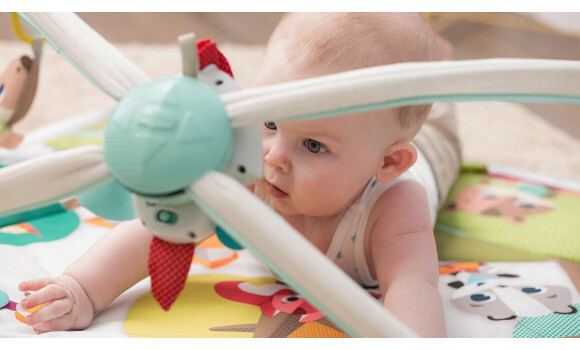 Engaging mirror and other features will help extend tummy time and encourage gross motor skills. 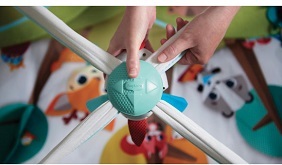 Simply press and slide the connector to move the arches and shift between the two modes. 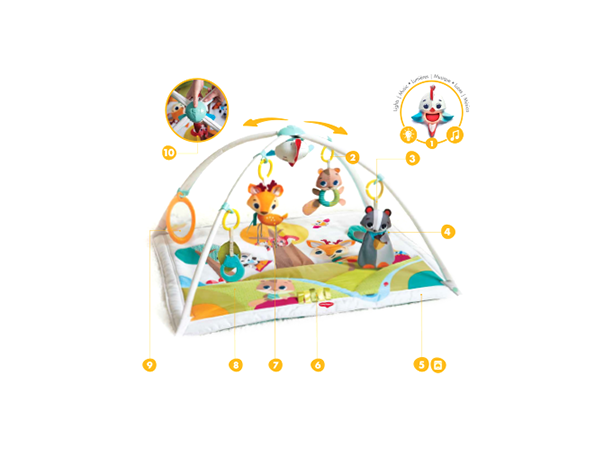 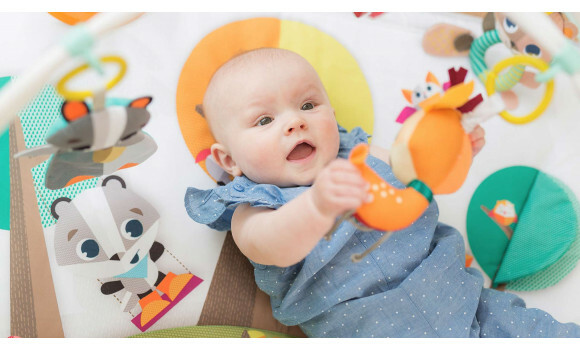 The spacious play area let’s babies stretch their bodies, experiment with movement and roll over, while the activities, mirror and electronic bird toy help extend tummy time. 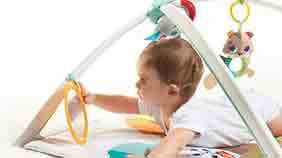 Also encourages EQ, inspires Imagination & Creativity and stimulates Language & Communication and the Senses.